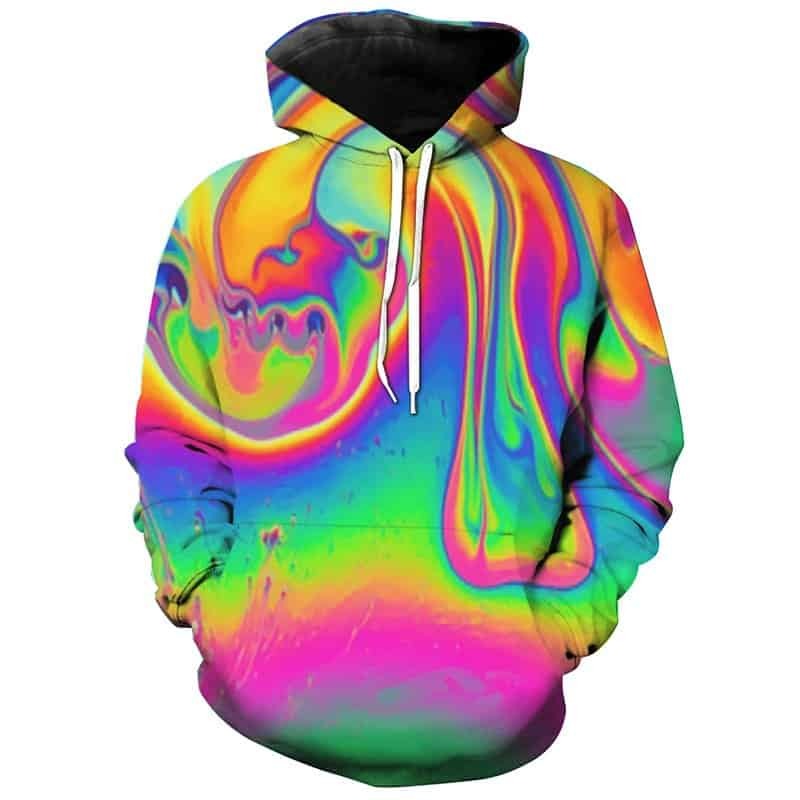 This psychedelic colours hoodie is difficult to describe. It is merely a load of trippy colours with a droopy design. A perfect festival hoodie and a hoodie that will catch a lot of attention! The hoodie is comfortable to wear, looks fashionable and is wearable anywhere. It was designed for both male and female.